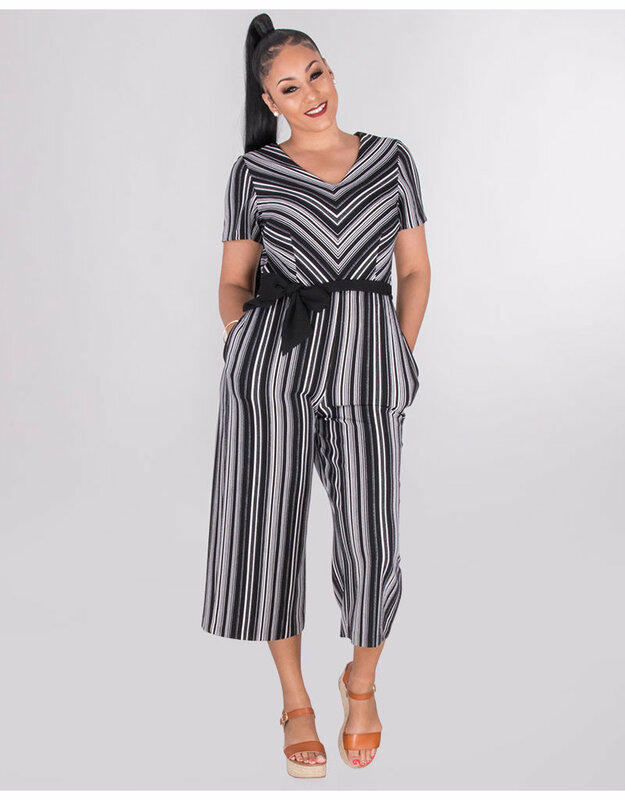 This ankle-length jumpsuit features a striped pattern, short sleeves, V-neck and a broad self-tie band. Pair it with heels or flats for a stylish. 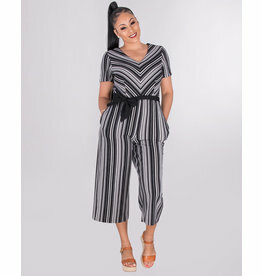 urbane look.